If you tend to have a sweet tooth like me, you find yourself finishing off a packet of biscuits the day you buy them and bring them home. Hence, why I never buy cookies or the like ‘just incase friends come over’. Written by Larina on December 23, 2014 . Posted in Health, Product Reviews. Not many people can say they got given access backstage to The Oscars. Colly can, and she was everywhere……in the shape of 3 raw, vegan, delectable snacks sitting snug in a cute little tube called Soma Bites. I was stoked to see these little babies in Woolies! Then Colly comes along to say they’re headed into the mouths of Hollywood stars? Talk about jumping from strength to strength. Soma Bites are taking over the world, one healthy, delicious morsel at a time! And I am so thrilled for them! Most commonly when it comes to food grade varieties, it’s either bamboo or coconut fibre in origin. Charcoal is created by heating wood to high temperatures in the absence of oxygen. This forms carbon. Charcoal is often interchanged with the name of carbon, as its the same thing. The charcoal is ‘activated’ by treating it with oxygen so that it develops a larger surface area, increasing its ability to trap toxins and other compounds via ‘binding sites’ on its surface. Written by Larina on December 20, 2014 . Posted in Health, Product Reviews. If you haven’t seen this magazine yet you need to download the latest version immediately. Gorgeous recipes, great tips, and it’s allllll gluten free! Plus – it won’t cost you a cent to read! Written by Larina on December 27, 2014 . Posted in Healthy Eating 101, Product Reviews. Have you seen the vibrant, environmentally sustainable packaging of Nexba ice tea in 7-Eleven, IGA, Caltex, or Harris Farm stores? Or perhaps on a Virgin flight? 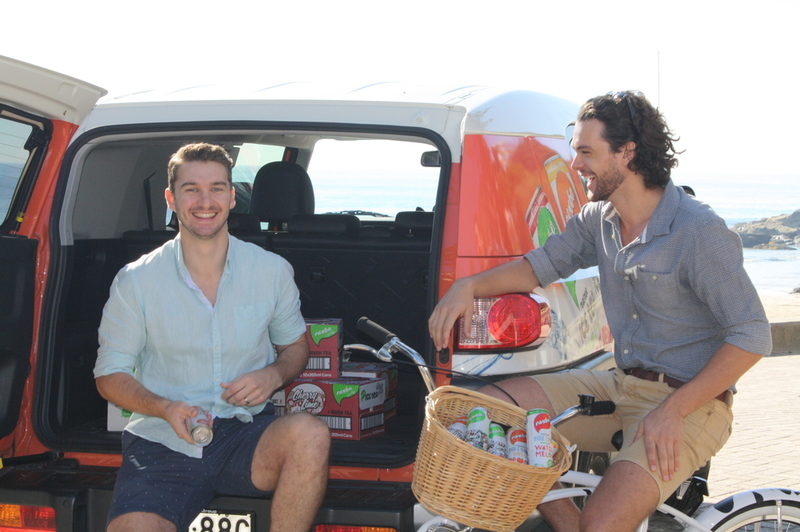 Impressed by their drive and ambition to launch an Aussie natural iced tea range, I decided to get them on board for this week’s Friday Night In and take a look at their range. The drinks come in a variety of flavours and are sweetened with a mixture of cane sugar and stevia. Now usually I wouldn’t recommend products with cane sugar, but as some iced teas are sweetened with fruit juices, I wanted to show you that it’s a more natural iced tea alternative for those with fructose malabsorption or IBS. Plus each can contains up to 50% less sugar than regular commercial sugar-containing drinks. Not a bad alternative. So snuggle up and get inspired with the guys behind Nexba! Quest Bars – Should You Try Them? Written by Larina on December 16, 2014 . Posted in Health, Product Reviews. Heard of the Quest Bar? A high protein, low carb bar that’s a little different to the usual.